Set sail with the Duchess as it boasts three spacious decks for all your special event needs. The yacht features a main dining deck that offers a modern atmosphere and a second deck for a more intimate setting. As you and your guests enjoy the premium bar, you can view the magnificent skyline of NYC from the third deck, the Floating Rooftop. The Duchess can accommodate the next big wedding, corporate event, birthdays and gatherings. I booked this yacht for a corporate party we had to celebrate a big benchmark. The coordinators were cordial and the service the day of was excellent. This was my first time being given such a task but the coordinators guided me in the right direction. Everyone at the office was really impressed. 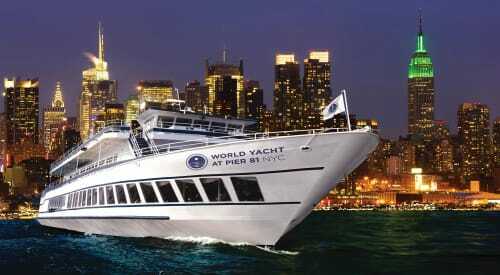 Yo haven`t seen the Manhattan skyline if you haven`t been on a cruise like this. The combination of a pleasant staff, good food, and the view, gave us an unforgettable night.